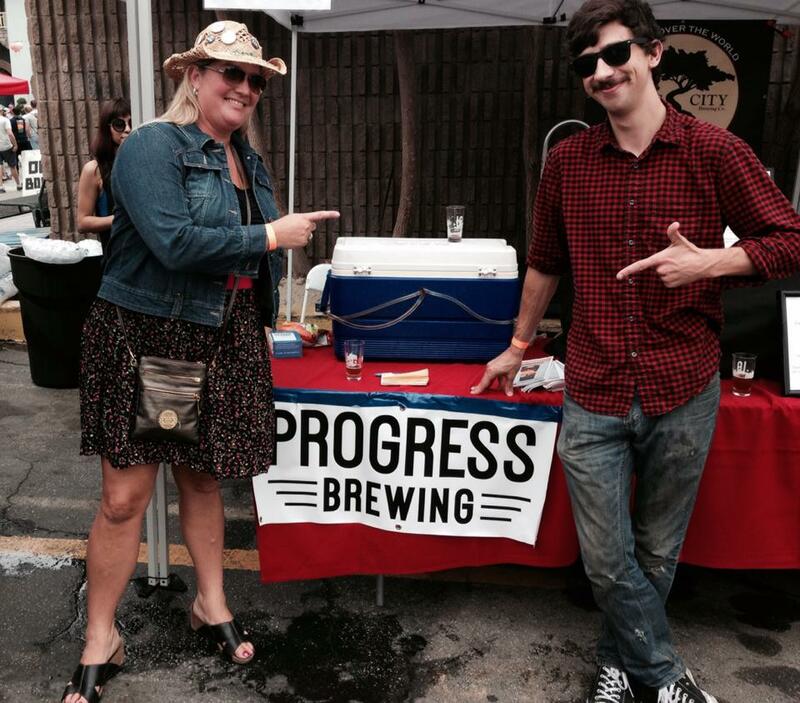 Progress Brewing showed up out of nowhere at the kick-off festival for LA Beer Week in Chinatown this past September and their presence there was a strange curiosity. Co-owner, brewer, and Poly alumnus Kevin Ogilby was at the festival representing his one-year-new brewery located in South El Monte. Save the trouble of looking it up on a map; it’s north on the 605 at the 60, in a city that may not exist on your radar unless you are from the neighboring area of East Los Angeles. The brewery was formerly Federal Brewing—that is, until The Federal Bar sent the brewer a cease-and-desist. Since then, it has since been Progress Brewing. Trained as a chemist with a biotech degree from UCLA, the furthest thing from Ogilby’s mind in college was brewing beer: “I knew I liked chemistry, but I had no idea what I wanted to do after I graduated,” he admitted. Taking a job with a biomedical company, Ogilby met Diego Benitez, a PhD in nanotechnology and homebrewer who had dreams of opening his own brewery. “Diego and I knew of each other because we both wrote for the same chemist publication, but it was not till we were introduced at a Christmas party did we start to talk brewing,” Ogilby said. 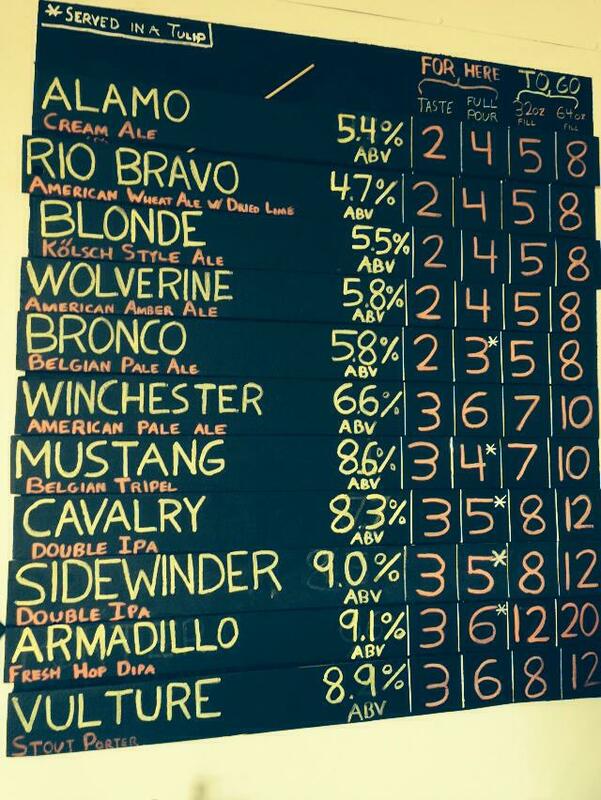 At the time, Benitez was on the hunt for a recent chemistry graduate, someone who could help him open a brewery. For obvious reasons, the two quickly became friends. Ogilby grew up in North Long Beach and went to Fremont then Lowell Grammar School, Stanford Middle School and then Long Beach Polytechnic High School where he was in the PACE magnet program, ran track and was in the band. While Ogilby had no clue what he wanted to do with his life in either high school or college, his good grades and involvement in school showed him to be a leader with a budding entrepreneurial spirit. “I actually started a social club my senior year. It was called the Esperanto Language Club. I created the club because I was trying to impress a girl that I liked,” Ogilby admits bashfully. Esperanto is a language that was devised as a means of international communication and while we are not sure if he got the girl, we do know that Ogilby is a genius, capable of learning a brand new language, just for fun, in just a few months—a sure predictor that this boy-child was destined for great things. 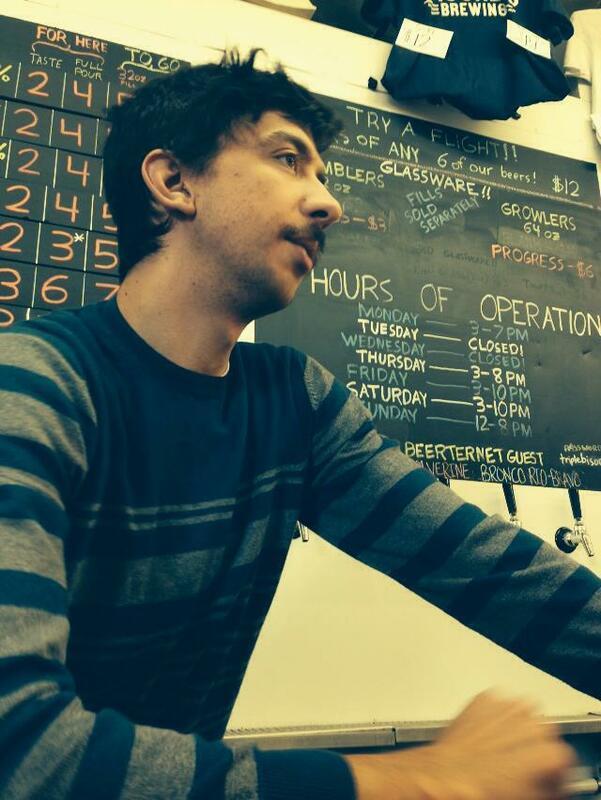 Right now Ogilby is only 25 years old and may be the youngest brewer in the industry. Fellow brew-boppers include 26-year-old Andrew Luthi, brewer/owner of Ohana Brewing in Alhambra; and brewers Chris Walwoski (Wilson High School, CSULB) and Jake Ainsworth (CSULB) from Smog City Brewing are both 27 years of age as is assistant brewer Rafi Kelley from Strand Brewing. 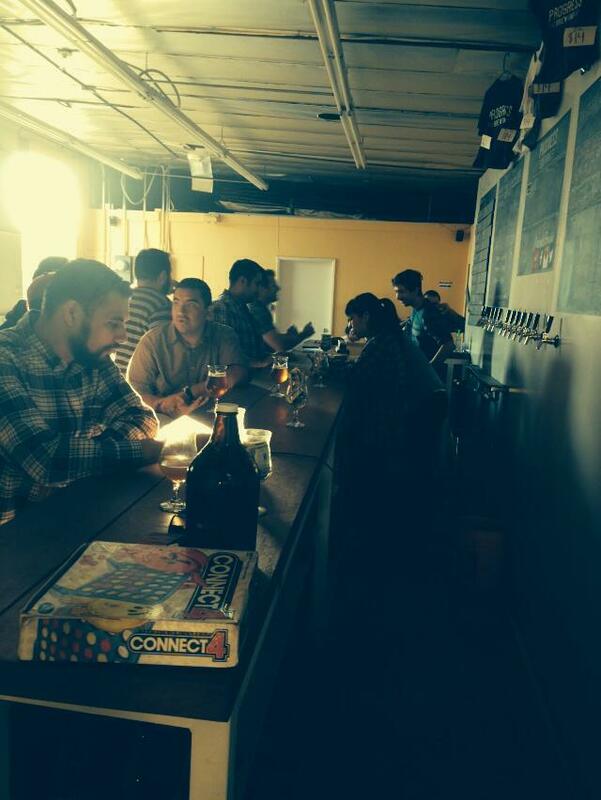 We visited the South El Monte tasting room on a Sunday in early November and the city was a ghost town. The brewery was easy enough to spot with its logo clearly painted on the side; other painted references to beer were stenciled on the building in both English and Spanish. The small corner building looked like it was maybe previously and drive-through market. The day we visited, a dated—or should we be kind and say vintage?—car was parked under the covered carport. “My Toyota Camery is dust colored… It’s old and dirty but Diego’s car is normally parked out there and it’s a nice car,” Ogilby said while smiling mischievously, alluding to perhaps a joke the two brewers share about their cars. Or maybe he’s smiling because he just does not give a damn about what he drives and finds it trivial. It was impossible not to like Ogilby given he spoke with humility and had an air of unpretentiousness that was surprising for someone who approaches beer from the scientific side of brewing. He did not describe his beer with nerdy jargon like its pH balance or at which point in the brewing process the beer was dry hopped. Instead, Ogilby was romantic about flavors, describing subtle nuisances that evoke variances to his beer style. In fact, he almost talked like a chef. Drinking almost like a gose, a salt beer, the Rio Bravo Wheat Ale is one of those beers that you can drink several of and at only 4.7% ABV, it goes down smooth without the quick head change. Other than the two female bartenders, I was the only female customer in the tasting room—a fact made irrelevant by Ogilby’s magical quality of making every one feel, to use a chef’s term, mise en place: everything (or in this case, everyone) in it’s place. “We have a loyal crowd at the tasting room that keeps us busy brewing,” said Ogilby as he effortless poured beers and talked with customers all the while never missing a single hand shake with each new customer that walks through the door. This sense of community in the tasting room is reminiscent of Cheers given you could almost imagine the theme song playing in the background through some magically invisible speakers, the lyrics sung in Spanish of course—South El Monte style. As the sun begins to set, Ogilby flipped on the lights, two long rows of florescent tubes illuminated high ceilings. 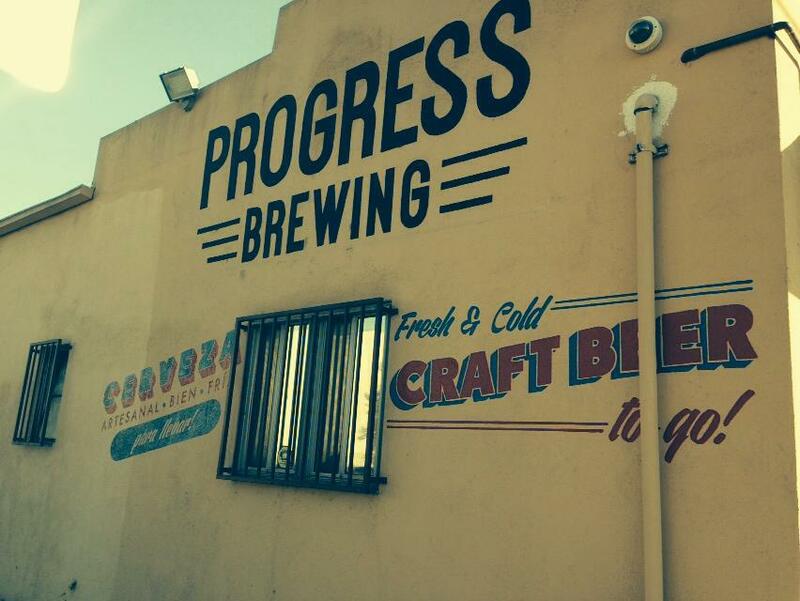 Visit Progress Brewing’s Tasting Room at 1822 Chico Avenue, South El Monte. For more information, call 626-552-9603. 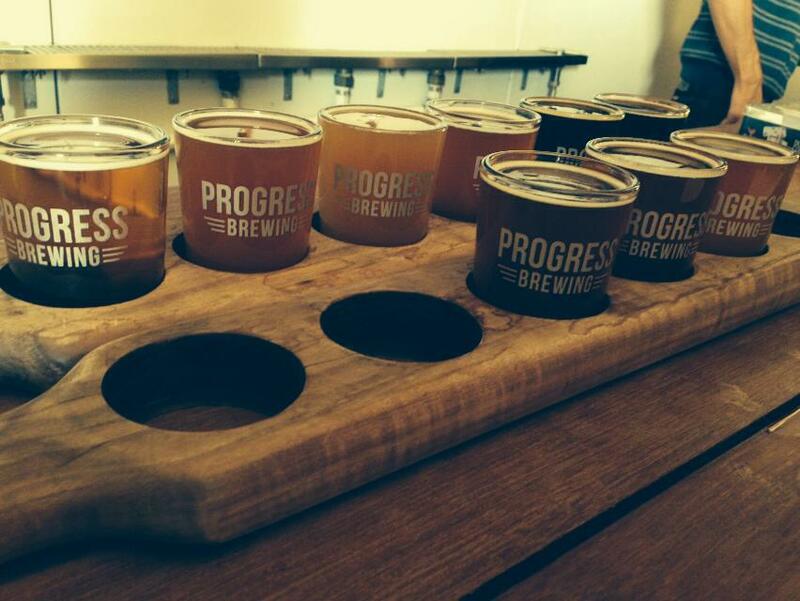 Tasting Room hours: Monday 3-7PM Thursday 3-8PM Friday-Saturday 3- 10PM Sunday 12PM—8PM Progress will be doing their first Tap Takeover at The Factory Gastrobar on Wednesday, November 20. For more information click here. The Factory is located at 4020 Atlantic Ave. in Bixby Knolls.